An artist’s book by Michael Stevenson and Jan Verwoert that expands upon the themes of the earlier document »Fables« (listed below). 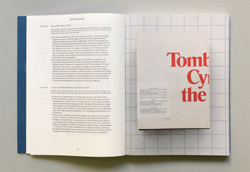 Like its predecessor this publication is based in collaborative processes that resemble a game. Stevenson and Verwoert developed a working method in which plot structure remains open - a kind of partial exquisite corpse - i.e. text fragments passed back and forth without prior discussion as to any through-line. 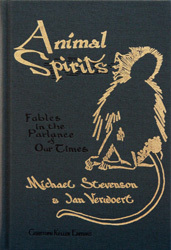 These stories were then co-illustrated using a similar process by the artist and Margaret Stevenson, his mother. 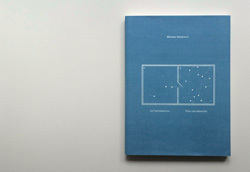 The results were then drawn together by Christoph Keller and made into a book. DESCRIPTION: 127mm x 185mm, 144 pages, 120 black and white illustrations, hard cover, English. This is the first published document to trace the artists practice across a number projects over the last 20 or so years. Amongst other things the material collected in this volume straddles documentation, research, science fiction, anthropology, and philosophy. In order to do this an open-ended form was sought whereby the material could be gathered yet remain as the title suggests - incomplete. 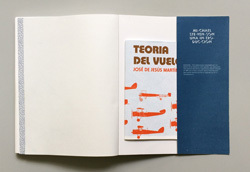 A short rumination written by playwright, mathematician and bodyguard José de Jesús (Chuchu) Martínez (1929-91) and first published in Panama by Colección Nueve de Enero in 1979: this document was reprinted in 2012 to accompany exhibitions at Museo Tamayo Arte Contemporáneo, Mexico City and Portikus, Frankfurt am Main. The text recounts a complete solo flight by Chuchu in his Cessna 185 (registered in Panama as HP-394 a.k.a. 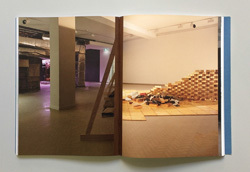 Aleph-1) and became a guide for the development of both the above mentioned exhibitions, the Portikus project in fact derives its title from a passage on pages 9 & 31. 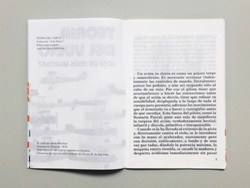 In re-printing this document, the original Spanish text, layout, and illustration were reproduced verbatim - this was then accompanied by a new English translation. 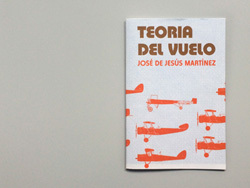 Attempting to simulate (typographically) the description of take-off on the opening pages (a process of weight loss and dematerialization) the original Spanish text in its emboldened form was translated for the English from the same font family into a lighter weight. This process was then extended materially: the new document became twice the page count and so the increased paper requirement was offset by printing on an extremely light paper stock, the result was a document that floats and is full of show-through. 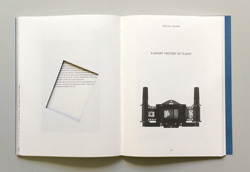 Re-printed with permission and English translation by; Portikus, Frankfurt am Main, Museo Tamayo Arte Contemporáneo, Ciudad de México, and Verlag der Buchhandlung Walther König, Köln, 2012, (included also as an insert in the 2013 publication »Michael Stevenson: An Introduction« by the same publishers). This most economic of documents, was produced as a component of the project »Lender of Last Resort«. It was only available in the museum - alongside the installation. The texts themselves take the form of a collection of fables, reflecting upon the more timeless qualities of art and the business cycle. 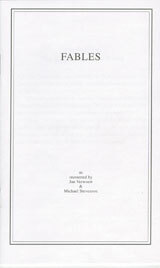 The fable, being both specific and universal finds perennial application. In a very basic way these texts act on the artwork in question by encouraging a more metaphorical reading. Normal considerations regarding distribution etc. gave way to the importance of a working text in relation to the work. 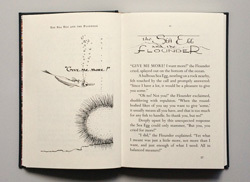 The book owes its peculiar design specifications, title etc. 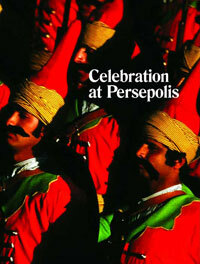 to an earlier publication: after the party at Persepolis (see the project description for more detail) an official commemorative publication was produced. This original book was sent as a gift to all official guests in attendance at the celebration and, was also in wider distribution. 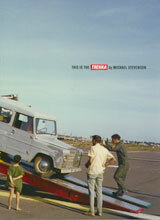 My book is – in terms of cover and dust jacket – a replica of the original (but at 50% scale) - a ‘miniature’ if you like. A number of Magnum photographers were officially invited to Iran to document the events of 1971. Part of my project then involved the re-assembly of some of these Magnum images. The title of this publication was taken from material I found in the Lerner archive at UC Berkeley. 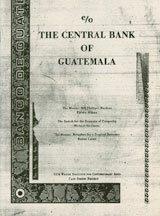 Certain letters Lerner penned during 1953 used ‘c/o The Central Bank of Guatemala’ as his temporary address (see the project description). The irregular border motifs used on the document’s cover are those clipped from a 1 Quetzal bank note (Guatemalan currency), a gift to me from my 2006 visit to the bank. 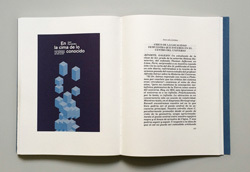 The particular form of this book is derivative: a facsimile version of the original Panza collection volume (see the project description for details). In the 1980s MoCA acquired the lions share of Panza’s collection as tax issues prohibited him from keeping the works intact. 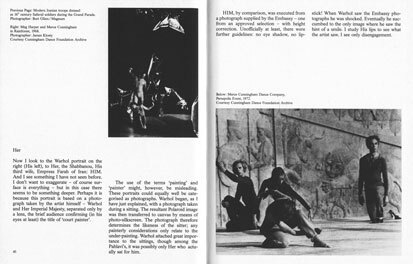 MoCA began a publication series, each covering a different era of the Panza collection, this was reflected in the choice of titles: ‘Art of the Fifties, Sixties and Seventies’, ‘Art of the Sixties and Seventies’, etc. They were published in at least 3 different languages and were very well distributed. I knew the book from years ago as a battered copy in an academic library in Melbourne. My publication is identical to the original in terms of scale, typography and general design layouts and therefore, via these tropes I guess it is possible to say the Panza collection turns again to the Museum Abteiberg. Publication is by now the only form in which my Abteiberg project continues to exist, so this book holds a particular place. Contemplating this end result I wanted to bring it beyond the more traditional role of documentation. For example, if this book is handled in a more ‘archaeological’ manner - dust jacket removed - black linen cover and text down spine exposed - it is possible to understand its form in relation to the MoCA original (which unwittingly appears in the documentation inside my volume). 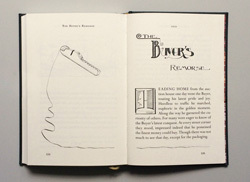 By excavating my book the reader restages some of the processes and methodology central to this project.